Z. Müge Avşar, Assoc. Prof. Dr.
İsmail S. Bakal, Assoc. Prof. Dr.
Sakine Batun, Assist. 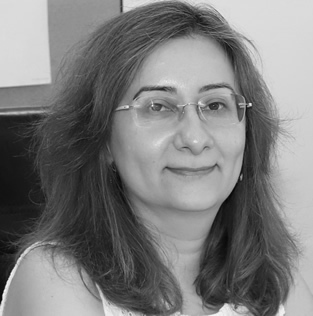 Prof. Dr.
Pelin Bayındır, Assoc. Prof. Dr.
Bahar Çavdar, Assist. Prof. Dr.
Serhan Duran, Assoc. Prof. Dr.
Cem İyigün, Assoc. Prof. Dr.
Özgen Karaer, Assist. Prof. Dr.
Sedef Meral, Assoc. Prof. Dr.
Nur Evin Özdemirel, Prof. Dr.
Seçil Savaşaneril, Assoc. Prof. Dr.
Canan Sepil, Assoc. Prof. Dr.
Mustafa Kemal Tural, Assist. Prof. Dr.